Beijing has promised to act following decapitation of a Chinese national on ISIS controlled territory and the killing of three executives of a Chinese construction company in Mali, claimed by Al-Mourabitoun jihadist Al-Qaida related group. The news shocked Chinese citizens, who are regularly hit by Xinjiang Uyghur radicals who have fought a low-level bloody insurgency against Beijing's rule for years. Turkic family language speaking and typically Sunni Muslim Uyghurs have close ties with other Uyghur groups in Central Asia and enjoy support from Turkey, which sees them as members of a related community disseminated between the Eastern Mediterranean and China. 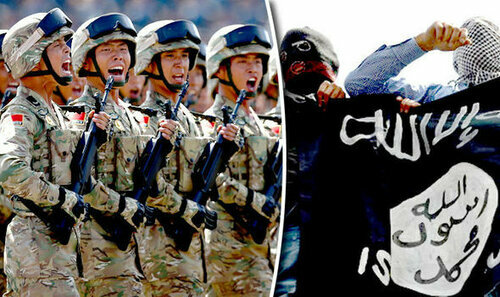 Over the last years the Islamic State (IS) has been recruiting hundreds of Uyghurs while distributing propaganda threatening China and calling for the establishment of a caliphate in the Chinese Autonomous Region of Xinjiang. Before that, Al-Qaeda had mentioned more than once its own expansionist goals in the Region. A deadly attack in Tiananmen Square in 2013, killing five, and the killing of 29 people in the South Western city of Kunming plus a suicide bombing attack in Xinjiang’s capital Urumqi in 2014 killing 31, show that the country faces persistent threats. Actually the story is much older. 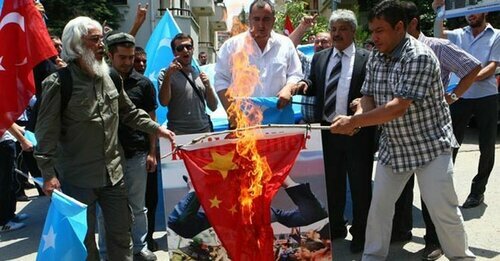 In 1990, uprisings firing arms and throwing bombs called for jihad to expel ethnic Chinese from Xinjiang and to organize an East Turkestan state. In 1997 another uprising led to hundreds of victims in China’s central Asian city of Yining, and the 2009 uprising, the bloodiest in decades, left nearly 200 people death and more than 1,000 injured. Action, but which sort of action? Following most recent attacks abroad, Beijing promised enhancing its counter-terrorism cooperation with the international community. But how far can it go? First, among many factors, we should consider that direct international involvement by Chinese forces facing separatism or jihadism entails complexities of its own. As an economic superpower China is seen as a rich state with plenty of money to pay ransom for potential hostages, one of the main revenue sources for IS and akin groups. China is deploying infrastructure, executives and labor force abroad, thus the likelihood of Chinese interests to be hit by terror is growing higher. Second, coordination. Beijing knows that containing and wiping out violent separatism from Xinjiang inspired by or closely linked to jihad terrorism from Syria, Iraq, Afghanistan, and other territories is impossible without a close coordination or coalition with Russia, Central Asia, Europe, Middle East and African countries, plus the US. However, coordination with the latest two US administrations (Bush and Obama) has shown to be tricky. Third, thus, empirical judgment and maneuvering capacities are essential. Unlike EU interdependent countries, in matters of international security China has shown independent and cautious foreign and defense policy. Actually, the opposite of Post September 11 US-led coalition which was strongly ideological and largely co-responsible for the emergence of international terrorist groups and constantly unable to combat them. Fourth, volatility. Due to ethnical and religious roots of the conflicts, waging war on IS or containing Uyghur separatist groups related to jihadism means facing dangerous in-flux events. For example, think of the unexplainable downing of Russian plane fighting IS by US alley – Turkey last week, or Ankara’s previous standoff with Beijing on expressing sympathy for Uyghurs in Xinjiang, following the worst uprising in decades, in 2009. Regionally speaking, Xinjiang is the continental gate linking the country to Central Asia, Russia and Europe as well as to western South Asia, thanks to infrastructure megaprojects aimed at facilitating imports from Eastern Africa and the Persian Gulf via Pakistan. Most likely, neighboring Afghanistan is about to experience a profound vacuum of power with subsequent further increase in internal conflicts and new rivalries, reinforcing its endemic nature as a failed state with porous frontiers, as it was already shown by the case of the 22 ethnic Uyghurs captured in Afghanistan and Pakistan by US forces and sent to Guantanamo in unclear circumstances after September 11. Additionally, as important as neighboring threats faced by China is China’s distance from the most dangerous cradle of recent jihadism. The closest intelligence about that region is to a great degree an asset of some Arab and Western countries. After all, Bin Laden and subsequent associates and followers in Central Asia’s radical world, including Middle East off-springs of Saddam Hussein’s Baath Party (among them current IS strategists) have been allies of Anglo-Saxon countries for a long time. Also, with so many actors operating in the Middle East and Central Asia, a significant involvement there entails totally new risks that groups and countries already engaged in warfare in those regions are unfamiliar with. Think for example of a network of activist and hacktivist entities called Anonymous, a sort of puzzle for any power (and in the West itself). Recently panicking NATO asked them to leave cyberwar to professionals following their recent declared war on IS. In contrast to famous 2004 Al-Qaida’s terrorist attack in Madrid which influenced the outcome of the Spanish presidential elections (which took place hours later), China can rapidly act without risking the functioning of its political system. On November 18, following the killing of Fan Jinghui in Mali, Chinese military police announced the killing of 28 people in Xinjiang allegedly connected with a deadly attack on a mine in September. Indeed, at the international level, China will likely keep sticking to its Five Principles of Peaceful Coexistence, namely, mutual respect for sovereignty and territorial integrity, mutual non-aggression, non-interference in each other's internal affairs, equality and mutual benefit, and peaceful coexistence, which for decades have been highly appreciated precisely in the countries now most hit by terrorism outside Europe. On security issues, Beijing has made significant progress in international coordination under the umbrella of the Shanghai Cooperation Organization’s (SCO) defense and antiterrorist network (including military drills in Central Asia and the Ural region) as well as in the context of Russia-China military ties by carrying out naval drills in the Mediterranean. Indeed, Beijing knows that preventing massive killings of civilians and critical infrastructure disruption are as key as are the battlefields. Actually, a significant effort in suppressing jihadism should be based on preparedness for smart combat, naturally persisting in the context of SCO as well as coordinating with Interpol, as it is happening. Few days ago, an international meeting celebrated in Seville, Spain, with Chinese participation, was devoted to targeting foreign terrorist fighter networks and travel routes. China is including robots in its anti-terrorist forces. The next G20 summit in Hangzhou, China, in 2016, will put terrorism high on the agenda. By then probably Chinese leaders will feel equally comfortable discussing how to fight against IS and contribute to solving explosive crises in the Middle East as well as the chronic failure of Afghanistan. Actually, almost as naturally as they do now by addressing climate change and proliferation in the context of a multi-polar world. At the international level China’s defense and antiterrorist forces will presumably increase intelligence capabilities about jihadist actions while concentrating on recently announced first-ever military support facility in East Africa’s Djibouti, near some of the world’s most volatile regions.